The big change is the “download PDF” button. It is really cool. It allows you to download a PDF file of the presentation from your dropbox or the web (for example the course’s Moodle site). 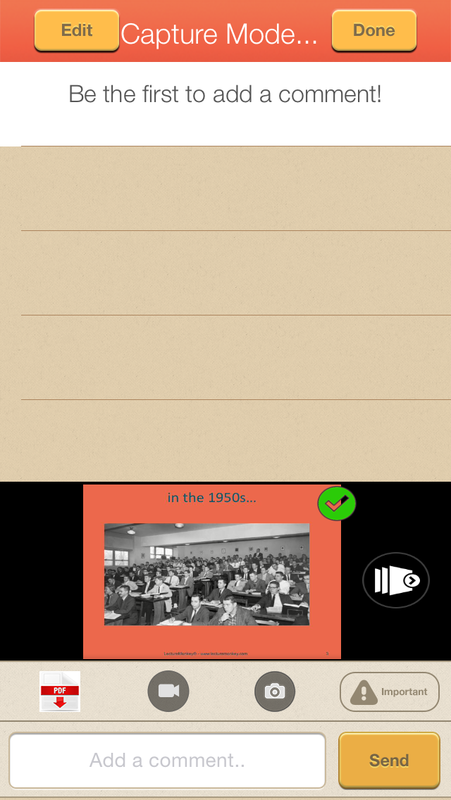 The reason this is cool is that if the lecturer has uploaded their presentation, you can now use LectureMonkey to synch the presentation slides with the recording just by tapping. If the lecturer shows a slide not in the downloaded presentation you can still just pick up the phone to take a image and have it added to the lecture. 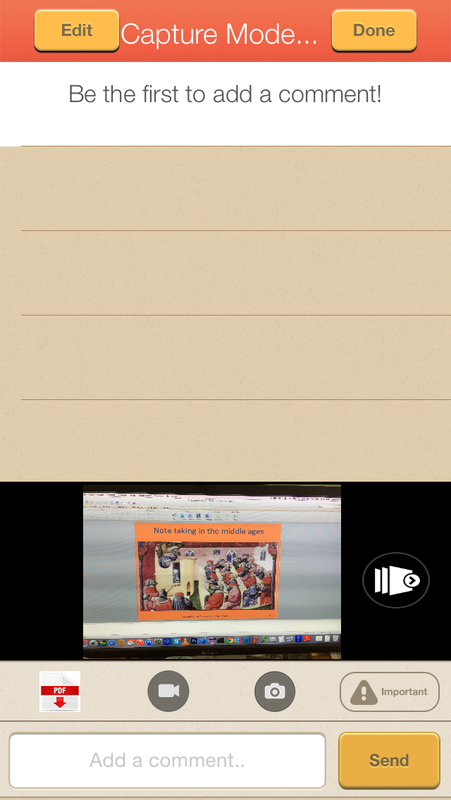 So while recording you can mix and match actual slides with camera images and video – all while recording everything said and adding comments. 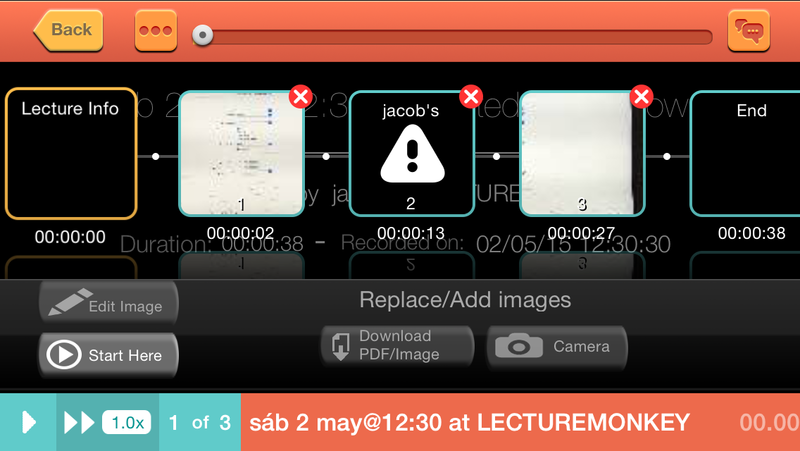 If the lecturer uploads the lecture only after class is over, use the new edit mode to replace images you recorded (either just a one to one replacement, or lets LectureMonkey try and match the images to the downloaded slides from the lecture. You can find out more through the new demo lecture in the (just search for “Demo”). This entry was posted in 1. Using LectureMonkey, 3. General, Blog, Recording Guide. Bookmark the permalink.